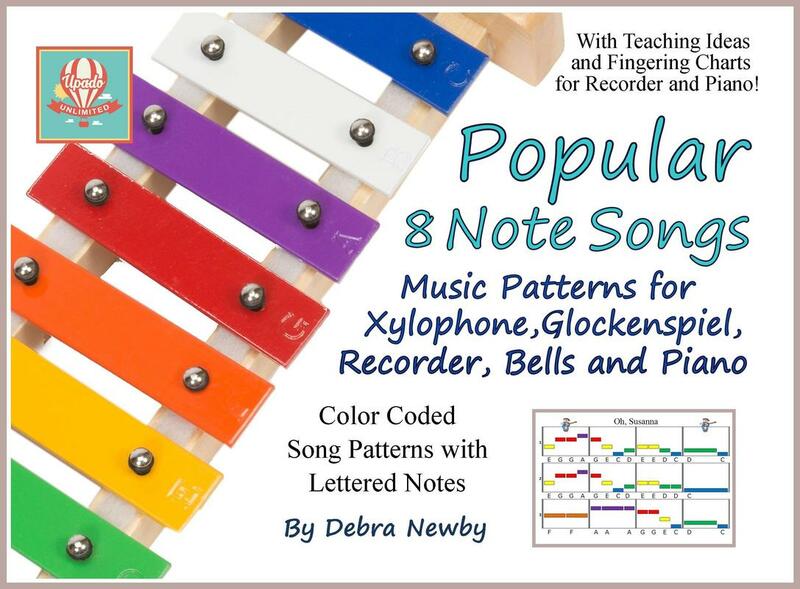 A Glockenspiel Xylophone is a great introduction to music for children and surprisingly fun for teens and adults. It is even easier to play when one has some help. 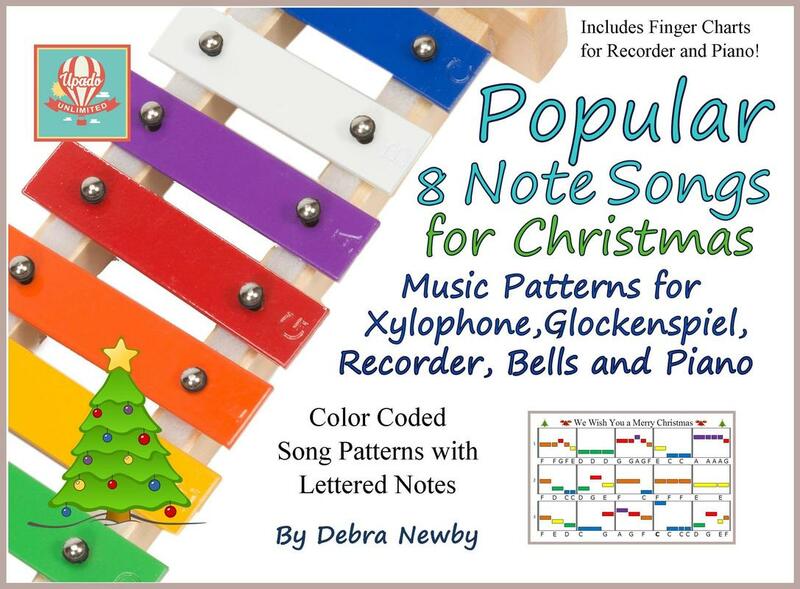 Music Patterns in the book that accompanies the instrument, plus the extra Popular 8 Note Songs books give new musicians the opportunity to match notes to colors or letters, allowing students to experience success in playing an instrument, even if they have not yet learned to read musical notation. Each handcrafted xylophone is precision tuned so playing music is a joy to do and a pleasure to hear. 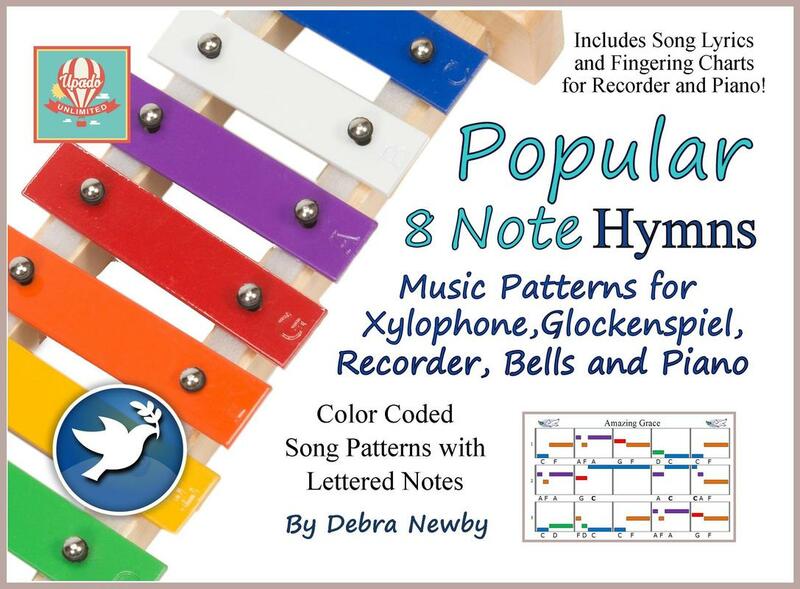 The accompanying 12 page music pattern song book contains songs used in early music education and includes a duet and harmony piece so that everyone can play music together. Musicians develop pattern recognition and rhythm as they build motor skills and eye-hand coordination. Music training builds memorization skills and better auditory attention as well as superior language and reasoning skills. Music accomplishment improves self-confidence, character and creative thinking. And it's fun! We are running a limited time promotional offer on the Upado Unlimited Glockenspiel Xylophones especially for our Up and Over tutoring students and clients. Please contact us for more details at: info@UpadoUnlimited.com. 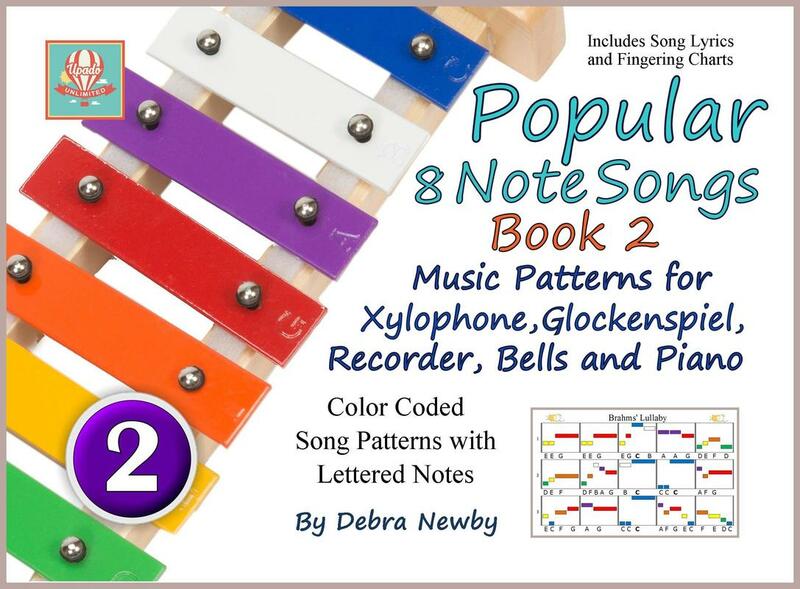 Popular 8 Note Songs: A Three Volume Set for New Musicians of All Ages!